Nano Server monitoring is kind of a challenge for System Administrators. Even if your current monitoring product supports Nano Server, installing agents on Nano could be a headache. 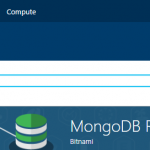 In this article, I will show you how to monitor your Nano Server with VirtualMetric’s Bare Metal Monitoring feature. * TCP Activity for Network Based Attacks like DDoS etc. * Assessments like Pending Updates, Hotfixes, Services, Processes etc. First, lets start installing our Nano Server on Azure. You can also check other properties by listing all properties of $HostSQLAvailabilityReplica. You can also check other properties by listing all properties of $HostSQLDatabaseReplicaState. You can also check other properties by listing all properties of $HostSQLAvailabilityGroupListener. You can also check other properties by listing all properties of $HostSQLAvailabilityGroup. You can also check other properties by listing all properties of $MSSQLResourcePool.